1. Bake PUREFOODS FIESTA HAM in the oven at 350 F for 15 minutes. After baking, let it cool for 10 minutes then slice into cubes. 2. Brush bread with melted Magnolia Gold Butter the toast the bread for 3 minutes. Set aside. 3. 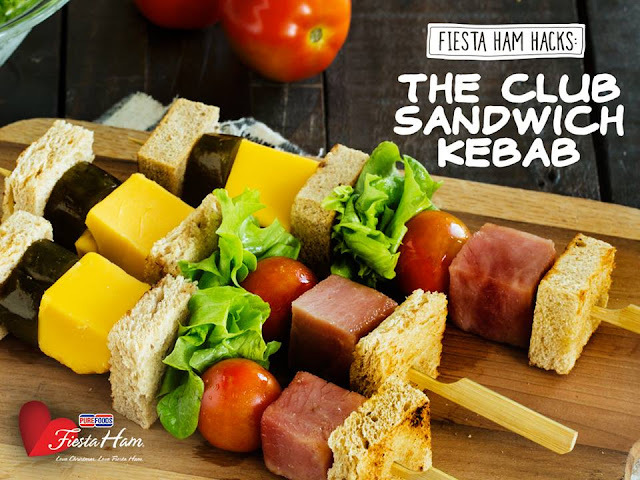 Place the ingredients onto the skewer alternately, like preparing a club sandwich. 4. Place bread first, followed by the ham, tomatoes, lettuce, bread, cheese, pickles, then another slice of bread.